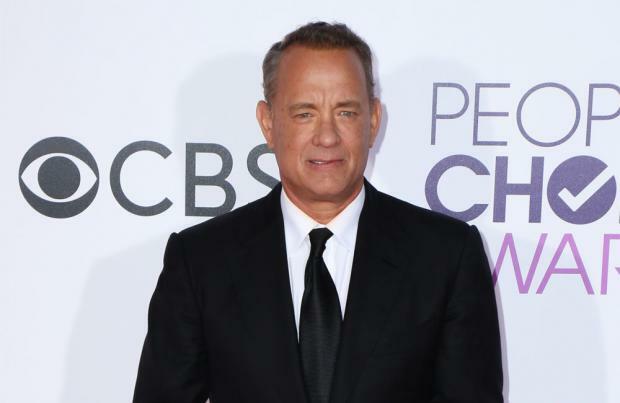 Tom Hanks is in talks to star in 'News Of The World'. The 62-year-old actor could be set to reunite with director Paul Greengrass – whom he worked with on the 2013 thriller 'Captain Philips' – for the upcoming adaptation of the best-selling novel by Paulette Jiles. According to Variety, a deal hasn't closed yet, but negotiations are taking place. The 'Cast Away' star would play Captain Jefferson Kyle Kidd in the forthcoming film, a veteran who travels from town to town, reading the latest newspaper to the largely illiterate locals. The movie will centre on the friendship between Kidd and a ten-year-old girl he's tasked with bringing to her relatives in San Antonio, after she spent her childhood living with the Kiowa Indian tribe after she was kidnapped and her family was murdered. The movie will be penned by Luke Davies and casting is expected to take place soon for the Fox 2000 production. According to the novel's official synopsis, the pair's 400-mile journey "proves difficult and at times dangerous"
It explains: "Johanna has forgotten the English language, tries to escape at every opportunity, throws away her shoes, and refuses to act civilised. "Yet as the miles pass, the two lonely survivors tentatively begin to trust each other, forging a bond that marks the difference between life and death in this treacherous land." Tom recently starred alongside Meryl Streep as newspaper editor Ben Bradlee in 'The Post' and will next appear in 'Toy Story 4', which he recorded his final ever scenes for last week, after first bringing the beloved Disney Pixar character to life in 1995. According to the Disney synopsis, the upcoming instalment will centre on Woody's original love interest Little Bo Peep, reading: "Woody has always been confident about his place in the world, and that his priority is taking care of his kid, whether that's Andy or Bonnie."